Porto is the second largest city in Portugal, a major infrastructural center of the north of Portugal, which makes it easily reached by a variety of means of transport. Porto’s closest airport is Francisco Sá Carneiro Airport. Located about 11 kilometres north of the city center, and recently considered the best airport in Europe, it is served by about 20 airline companies which operate both business class and low cost flights. These airline companies establish connections between Porto and several national and international destinations. 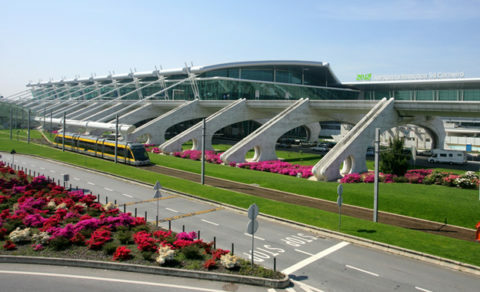 Francisco Sá Carneiro Airport is accessible by both public means of transport (buses and metro) and private means (rented cars and taxis). For more information visit the Francisco Sá Carneiro Airport website. Porto is literally surrounded by motorways, meaning the city enjoys excellent road connections with the entire country. Estradas de Portugal offers complete information on the motorway and national road networks of Portugal. Getting to Porto by train is a reliable alternative. Porto’s main railway station is Campanhã, located in the eastern part of the city. This railway station includes both national and international services. From here, both lightrail and suburban rail services connect to the city center. 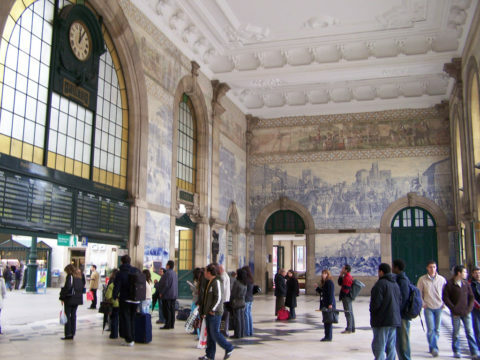 The main central station is São Bento Station, in Praça Almeida Garrett, which is itself a notable landmark located in the heart of Porto. This railway station includes suburban and regional services and also offers an international service to Vigo, Spain. In order to learn more about the railway routes between Porto and assorted other national and international destinations please visit Comboios de Portugal. Getting to Porto by bus is yet another inspired alternative for people who travel from abroad and for nationals alike. Rede Nacional de Expressos: Links Porto to nearly the entire country. For complete and updated information please visit Rede Expressos. InterNorte: Might come in handy for tourists who want to travel between Porto and Lisbon, but also for travelers who want to go from Portugal to Paris, France. For complete and updated information please visit InterNorte website. Eurolines: Offers the best deals when it comes to international connections between Porto and assorted destinations on the continent. For complete and updated information please visit Eurolines website.